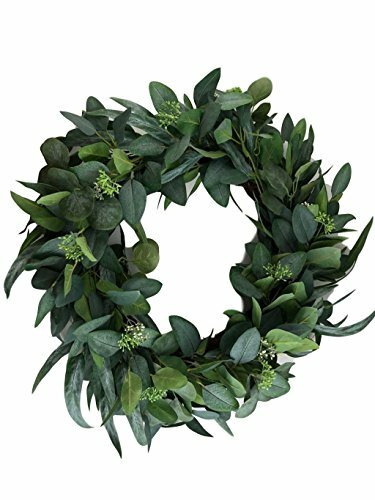 Hearth and Hand by Magnolia Eucalyptus Wreath Adding a fresh element to your space, this decorative wreath will bring the outdoors into your home with its eucalyptus leaves and twig-like backing. Perfect to hang above your mantel or inside of a wooden picture frame, this indoor wreath will balance out your decor in a way that you'll love. Perfect to hang above your mantel or inside of a wooden picture frame, this indoor wreath will balance out your decor in a way that you'll love. If you have any questions about this product by Hearth and Hand by Magnolia, contact us by completing and submitting the form below. If you are looking for a specif part number, please include it with your message.